Battic Door offers high performance attic access solutions for architects, builders, developers that meet the New Building/Energy Codes for use with residential / multifamily / apartment / condominium projects. New Codes now require the attic access be insulated to min R-30. Battic Door offers two attic access solutions that meet these new Codes and provide solutions: 1. E-Z Hatch R-42 Attic Access Door. 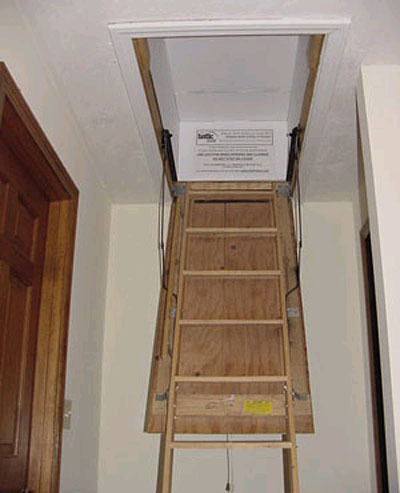 This is an energy-efficient attic access unit (scuttle door). 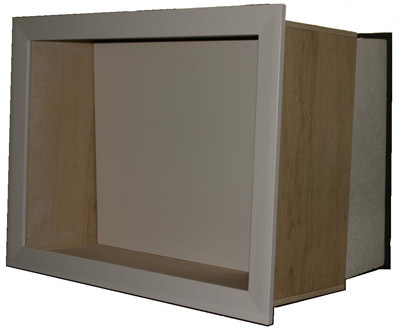 It is R-42, triple-gasketed, pre-finished, and provides a 22x30” access opening. Deluxe version provided with a 4-point locking latch and handles. 2. Battic Door R-50 Attic Stair Cover in 22x54, 25x54 and 30x54 sizes. E-Z Hatch attic access door, 22x30, R-42. Meets the new Code requirements for attic access. E-Z Hatch R-42 Attic Access Door is an energy-efficient attic access unit (scuttle door). It is R-42, triple-gasketed, pre-finished, and provides a 22x30in access opening. E-Z Hatch Deluxe version is provided with a 4-point locking latch and handles. They can be keyed alike or different. According to new Code requirements attic ladders and stairs must now be insulated to the same level as the attic (minimum R-30). Pull down stairs should be covered and sealed to prevent energy loss. 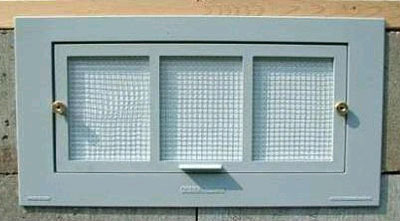 The Battic Door attic stair cover is insulated to R-50 . Stop valuable warm air from leaving your home and minizing drafts from your fireplace. 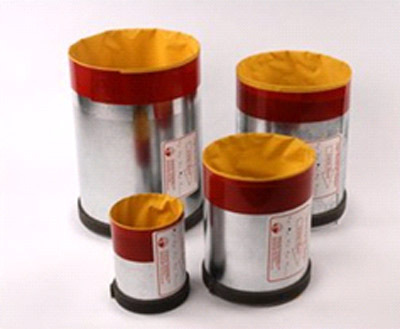 The Large Fireplace Plug Draft Stopper is an inflatable urethane pillow measuring 38 x 16in. It is quickly and easily installed in the fireplace just below the damper level. 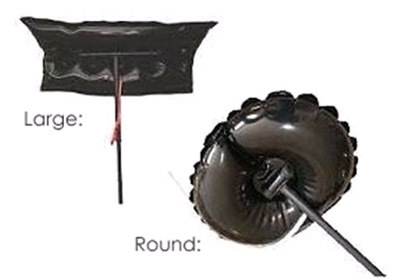 The Battic Door Whole House Attic Fan Ceiling Shutter Seal is an energy-saving insulating seal for Whole House Attic Fans. Our Premium Back Draft Damper is the ultimate one way air flow valve, designed to overcome the inefficiencies and limitations of traditional gravity or butterfly dampers. 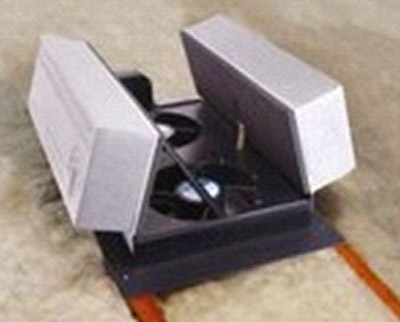 Our R-38 insulated Whole House Fans are used to cool your entire house and attic by pulling in cool air from outdoors and exhausting the hot air into the attic where it vents outdoors. Our Recessed Light Cover has been specifically designed to eliminate heat loss and stop cold air from coming into the house through the recessed light fixture. 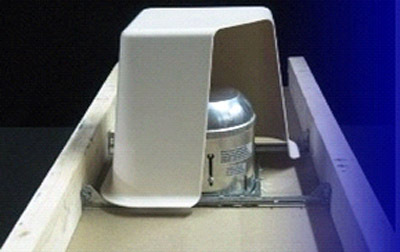 Energy Efficient Insulated Crawl Space Vent Installs Easily. Proper venting of homes with crawl spaces has long been a challenge for homeowners. 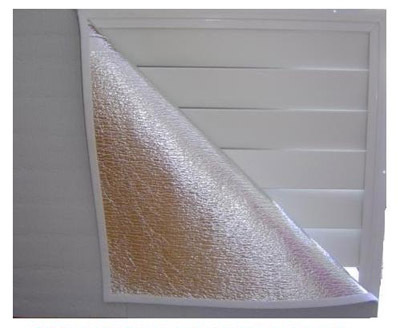 We manufacture Green Weatherization Home Energy Conservation Draft Stopper Products in the U.S.A. Our products help stop drafts, reduce your energy bills, save you money, and improve the comfort of your home. R-50 Attic Stair Covers, R-42 E-Z Hatch Attic Access Scuttle Doors, Fireplace Plugs, Whole House Fan Shutter Covers, Dog Pet Doors, Dryer Vent Seals, Radon Test Kits, Air Conditioner Covers, Recessed Light Covers, Insulated Switch Plate Covers, Insulated Crawl Space Vents, Premium and Economy In-Line Duct Back Draft Dampers, Home Energy Monitors, and more!